Brasseurs du Grand Paris - Grand Cru s.n.c. 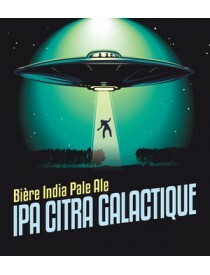 di Aprile Paolo &C.
Citra Galactique IPA is a beer designed to showcase three of our favorite hops. They give the beer explosive tropical fruit and citrus aromatics which are complimented by the beer’s dry finish, firm bitterness and subtle malt background. 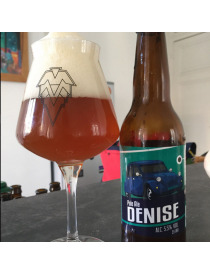 Thank you to the team at Brasserie Rabourdin who have graciously allowed us to brew this beer for your enjoyment. A l’Ouest is a beer with a floral and fruity aroma. Wheat malt gives the beer a refreshing light body and permanent haze. Its name is a nod to our friends and family in Brittany. Thank you to the team at Brasserie Rabourdin who have graciously allowed us to brew this beer for your enjoyment.